I want to be as clear as I can possibly be: I am not running as a “protest vote.” I don’t believe such a thing exists. A democracy only works if voters vote for who they want, not just against who they don’t want. I believe I can win. I believe I will win. Democrats cannot compete in District 39. 1) This is a Republican district. It won’t go Democrat. District 39 leans solidly conservative. As a former Republican myself, I understand everything that conservative voters care about, and I agree on some of the major ones, such as cutting waste in government, among other things. About 10% of the registered voters in the district are military veterans as well, and while they do tend to lean conservative, my overall message targets them directly, because they are my first priority in congress. I’m running for congress primarily to help people like my own father who have been (repeatedly) screwed over by the VA. Supporting a Democrat to win this district is a waste of money, and a waste of time. It’s similar in nearly every way to the district that the Democratic Party lost this past June in Georgia, where Democrat Jon Ossoff spent a record $30 million to lose to Republican Karen Handel. All the Democratic Party got out of that spending spree was debt, and they now trail the Republican Party by a huge margin in terms of fundraising. Don’t make this mistake. Support an independent in District 39 if you want to defeat Ed Royce. Support me. I can win. 2) Democrats and Republicans tend not to vote for another party. It’s one thing to ask a Democrat or a Republican to vote for an independent, but it’s something else entirely to ask them to vote for a member of the opposition party. Voting for an independent feels a lot less like cheating on their spouse. I believe being an independent in this district at this time will give me the ability to garner not just independent support, but support form both major parties as well. Choose whichever corrupt party you want, just don't get upset when you end up with corruption. 3) People are finally tired of two-party scam. I bet I could show up anywhere in District 39 with a bull-horn and yell out, “Who here’s sick and tired of Democrats and Republicans?” and a clear majority would raise their hands. I actually bet I could do that at one of Republican incumbent Ed Royce’s own rallies (on the rare occasion he actually shows up in the district to speak to anybody). Today’s partisanship is a lot less about supporting your own party as much as it’s about being against the opposition. 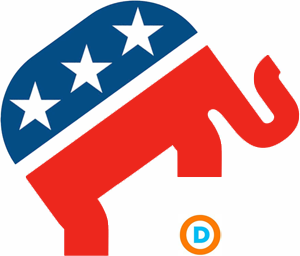 Democrats hate the Republican Party more than they like their own party, and the same is true the other way around. Nobody hates independents, unless they’re trying to argue with one of us online and can’t figure out which box to put us into. In fact, the most popular active politician in the country today is Bernie Sanders, who is an Independent (something that simple-minded partisan types inside the Democratic Party like to hold against him somehow). And I believe a significant part of the reason why he’s so popular is because he’s independent. This is how Gerrymandering works. It's simply a legal type of election fraud, and both parties do it. 4) Democratic gerrymandering isolates conservatives in California. While no party holds a majority of registered voters in California anymore (Democrats have a plurality at 44.8%), Democrats do outnumber Republicans by about 19% (if you don’t count the other 24.5% of voters who are independent, many of whom lean conservative). However, even with these numbers, over 73% of California’s delegation in congress are Democrats, and just over 26% are Republicans. This is what happens in most heavily conservative or heavily liberal states, by the way. And it’s wrong. It subverts fair representation in government. 5) California Conservatives are often single-issue voters. The issue? Guns. Especially as you move away from the coast and the bigger cities, California Republicans tend to be pro-gun, but not as concerned with other stalwart issues of the US Republican base such as abortion or gay marriage. According to a recent article in the LA Times, a majority of Republicans opposed the recent run of gun-control legislation that was passed through the California Assembly and signed by Governor Jerry Brown. I am pro-gun, because I know what actually causes gun violence, and it’s not the guns, regardless of what we’re being told. Please read my reasoning here. As with everything on my website, I have an incredibly detailed explanation of my position right here for you to read. But because I’m pro-gun, I believe I can garner support among Republicans (36% of the district), as well as at least half or more of the independents (25.5% of the district). This is a nationwide poll. My bet is that a majority of California Republicans support universal healthcare. 6) And for the Progressives, I have even more to offer. I’ve already covered why I believe Democrats running in District 39 is a waste of time and resources in the first place, but I believe I offer a wide variety of things with wide support inside the Democratic Party, and most of these things are things that Democrat candidates of late have failed to offer and/or deliver on. First, I’m for universal healthcare. Period. End of story. I also support changing our immigration system to be fair to those who want to come to our country, as opposed to deporting more people than any president in history (as Barack Obama did, even compared to Donald Trump as of August of 2017). I will also address income and wealth inequality, work to make college tuition-free, raise the federal minimum wage, work to overturn Citizens United and get money out of politics with publicly funded elections, and end mass-incarceration. Many of these things are issues that Democratic voters have asked for, only for the Democratic Party establishment to act as if they want to do these things, but kill them instead. The most recent example came when Assembly Speaker Anthony Rendon killed California’s single-payer healthcare bill after he and his friends took a bunch of money from the healthcare industry. But there have also been recent reports that the DCCC (the Democratic Party’s congressional election wing) has been instructing their candidates to fool their voters into thinking they’re going to pass universal healthcare by using confusing wording. If you believe, as I do, that healthcare is a human right, it's foolish to put money behind members of a party that's working with the healthcare lobby to make sure we don't get it. They’re not. If they were going to, they would have done so instead of giving us Obamacare. After all, they had 60 senate votes in 2010, with 58 Democrats, Bernie Sanders, and Al Gore’s VP nominee Joe Lieberman, who had become independent. 7) Non-voters are power in reserve, and there are a lot in District 39. I believe that if we don’t have someone to vote for, we shouldn’t bother checking that box at all. I believe in those instances we should show up and vote for the different propositions and initiatives for our state and community, but I don’t believe in voting “against” anybody. I believe most people who stay home on Election Day do so out of apathy, but it’s apathy that is learned. They stay home because they don’t believe their vote makes a difference. Well, as someone who has, in the past, felt exactly the same way, I feel I’m the candidate who can motivate the non-voters to show up and vote. For me. And how many of them are there in District 39? In 2016’s hotly contested election, 28% of registered District 39 voters didn’t vote, and 5.6% of them voted third-party in the presidential election. But the 2018 election is a mid-term election. How many District 39 voters stayed home during the last mid-term in 2014? Only 37.5% of the district showed up to vote in the last mid-terms. That 62.5% represents my power in reserve. Not only will I draw from both the Democrats and Republicans in District 39, but I believe I can bring people out to vote who would otherwise stay home. Which means I believe I can win without having to draw just from the Democrats and Republicans who were going to show up and vote anyway. I can make the pie bigger, and beat my Democrat (and one independent) opponents in the June primary, then do the same to Ed Royce in November of 2018, with my much bigger slice of pie that I’ll be able to bring directly to the polls for me specifically. 8) The timing is right. I believe a majority of the people at large, as well as inside District 39, are sick and tired of the petty, partisan politics that have gotten us nowhere over the last few decades. The petty nonsense where people talk about the baggage of their parties rather than the needs of the people. I represent the escape from that trap. And I think the people of District 39 are ready for it. I can win this race. And I believe I will, just as long as I get enough of you to support me with your modest donations through my CrowdPAC (which is a GoFundMe type of fundraising platform for political candidates), and through volunteering to help me get the word out otherwise. All we need is to make enough people inside the 39th District aware of who I am, and what I stand for, and this will be as good as won. We can flip this district.